popularity and clout in social media: 1,68,228 Twitter followers as on August 25, 2013, and counting. As New India is hyper active in social media platforms such as Facebook, Twitter and Google+, a long followers’ list indicates not just one’s popularity but one’s influence and power as well. In fact, Rao’s list of followers has dwarfed those of veteran politicians who have installed huge teams to engage the net savvy citizens through Twitter and other social media platforms. Sample this: BJP president Rajnath Singh has 67,041 Twitter followers, and the Congress general secretary who takes the Twitter route to often create controversies has 78,205 followers (as on August 25, 2013). Of course, politicians such as PM hopeful Narendra Modi and India's original Twitter man and Congress minister Shashi Tharoor are far ahead in Twitter count. As foreign secretary, Rao got a seven-month extension as the government changed the existing rules to have a two-year fixed term for foreign secretary. The government then said, giving two years to a foreign secretary was necessitated because the assignment had “increasingly acquired critical dimensions from national security and strategic perspective and the need to ensure continuity and swiftness in the decision-making process”. Rao’s talents and influence could be gauged by the fact that she was handpicked for the job of India’s ambassador to US after retirement. In September, 2011, she assumed her responsibilities as the ambassador. 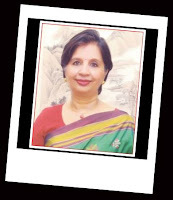 An MA in English Literature, Rao dreamed to be a career diplomat from her childhood. 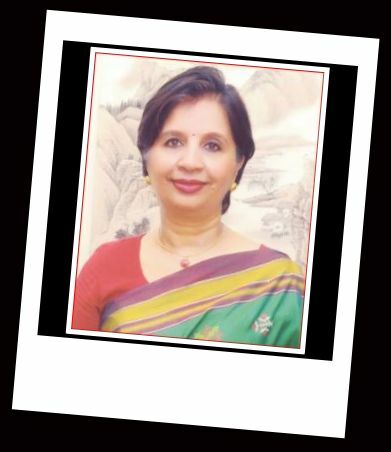 In Indian diplomacy, she had a rare distinction to be India's first woman high commissioner to Sri Lanka and also India’s first woman ambassador to China (2006 to 2009). Even before Rao could clinch the top diplomat’s job, she was quite well-known outside the corridors of power. After all, many still remember Rao as the spokesperson of the ministry of external affairs. 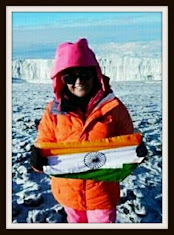 In 2001, she became the first woman IFS officer to hold the post of MEA spokesperson. A week ago, BoI began its Big Babus Quiz by asking its readers to name the city where Diva of Indian diplomacy Nirupama Rao plans to retire. Many guessed it wrong saying she would settle down in New York or Kochin. But the majority gave the correct answer: Rao is planning to retire in the Indian city of Bengaluru. Ambassador Rao is the wife of retired IAS and Karnataka's former chief secretary Sudhakar Rao, and they have two sons: Nikhilesh and Kartikeya. In an interview given to India New England in April this year, Rao disclosed that “Mughal-e-Azam” is one of her favourite movies. And her favourite song is Over the Rainbow. “I do not play guitar anymore. I love music and listen whenever I have time”, she said in that interview. Who is India's 5th Most Powerful Bureaucrat? I did not know so much about Nirupama Rao Madam. Good profile. Many people assumed Nirupama Rao would become a big leader when she was foreign office's spokesperson. She proved herself. I am not a social media person. I am amazed to hear that Rao has such a big following in Twitter. What's the secret?